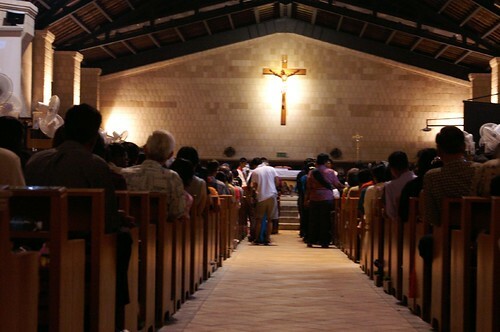 The above photo is from St. Anne’s [tag]Catholic[/tag] [tag]Church[/tag] in Bukit Mertajam, [tag]Penang[/tag], [tag]Malaysia[/tag]. I added in the Gospel of Luke. If you like it, feel free to download the large pic (1024 x 679) and (2048 x 1358). but mothers all the same! Yet tears are not enough. dialogue that builds, a presence that speaks! Tears must prevent other tears! 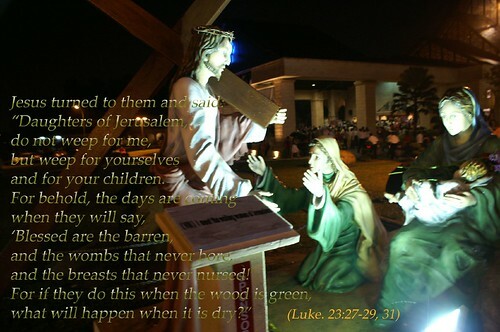 It was raining in St. Anne Church, BM so I didn’t manage to take photo of all the 14 stations of the cross. I must say that the church ground is divine. 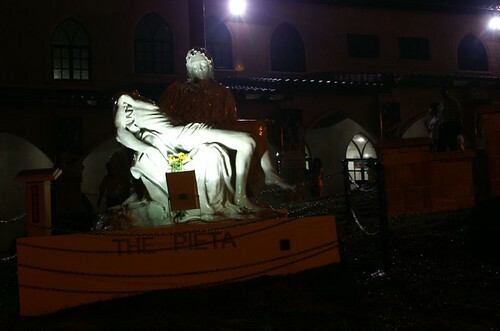 This is The [tag]Pieta[/tag], depicting[tag] Jesus[/tag] in his Mother’s arm. Yes, weep all ye women…when we look at vthe young people…and the not so young (ONE in particular, or maybe TWO if we include the one Down Under! Ha ha ha! ), you have all the reasons in the world to be weepng…!!! St Anne Church is beautiful!! I’ll make it a point to visit there if I ever go Penang. I used to go there with my family despite not a Christian, it was a very interesting experience. aiyo suituapui! u wanna b my fren issit? calling me same peer as u! but then hor…u will always be sooooo much older than me worr! than how to be same peer lah? Who is the screwer one here? this farking old man in his RELA suit, thinking he is the traffic police actually shoo-ed all the cars to move, inspite of the red lights and the children crossing the road. Mahai, can wait or not? Don’t you have any common sense that it is more important to see that the school children crossed safely than trying to act like you are escorting a time bomb? Re-post – Women only post – Men, shooo! Beating chest ala Bollywood mothers crying over bad sons.